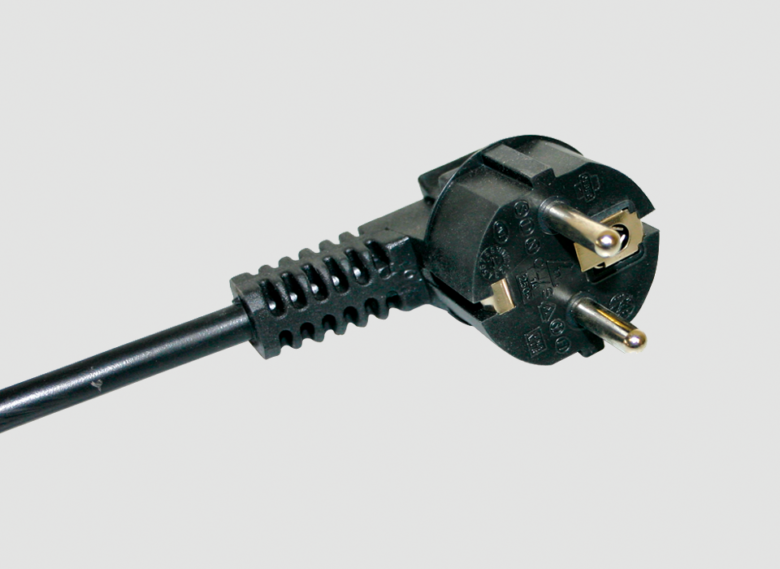 Schuko plug with two poles plus heart with H03VV-F rounded cable of 3×0,75. Standard cable have a length of 2000mm, in any case this dimension can change at customer’s needs. Colors available are: white, black and transparent.